Imagine having a conversation with Helen Clark, the head of the UNDP (United Nations Development Programme) from the comfort of your own home. Not only is it possible, it happened on Tuesday, January 14th. Beth Kanter’s blog shared the details about the eight-hour online conversation, which used Twitter and Google Hangouts to allow average people to ask questions of global leaders about the upcoming meeting. “We find Twitter tremendous for outreach, for spreading ideas, obviously for saying what our own work is as part of finding solutions to big development challenges. We’re encouraging all our country officers to get their Twitter accounts active—get the photos up, get the stories up. Development is about stories. It’s about stories of achievement, of progress, of people’s lives being better than they were. People really want to hear about this. 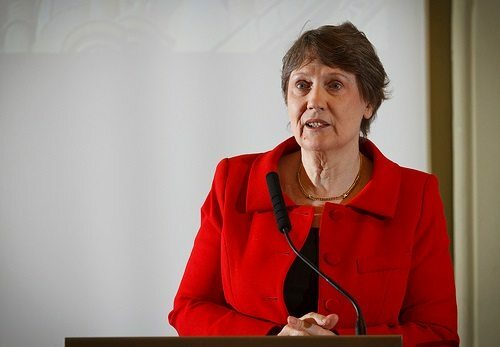 They don’t want to hear about all the failures—they want to hear about what difference are you making,” said Helen Clark in a recent interview. The Twitter event was organized by +SocialGood. Their goal is to “unite a global community of innovators to use power of technology and new media to make the world a better place.” They even developed a toolkit with sample Tweets, Facebook posts and more. It is a great example of tools and templates to have ready when your organization takes on its first Twitter chat or other social media campaign.